7 Tips for a Successful Short Sale in Delaware! A recent article by Inman News predicts that short sales will be more numerous this year, due to streamlined rules and a recovering economy. This means lenders will be busy and organized short sale applications will have the best chance of success. If you are a Wilmington or Newark homeowner who lacks equity and needs to sell, these short sale tips will help you get started! Also, please see my prior blog posts on September 6 and January 24 for more information! 1. Ask your mortgage lender about their short sale requirements. They will send you the paperwork to get started. Please remember that it isn’t enough to be underwater in home value; you must also have a qualifying hardship. 2. Your mortgage lender may ask for copies of your recent bank statements, paycheck stubs, tax returns and a list of your household expenses. Be cooperative and send in the requested documentation asap. 3. If you have other liens against the property, from a second mortgage, or an unpaid debt or tax obligation, let your mortgage lender know. 4. If the ownership of the home had any changes since your original purchase, as the result of a divorce or other situation, declare this up front. Lien and title issues can be time-consuming to resolve. 5. Work with a Certified Distressed Property Expert who has the professional experience to help you! 6. Share information about your home’s condition with me. Honestly is the best policy. Also, if you have made repairs or upgrades that should be considered, share that too! 7. Stay in contact so the process keeps moving. 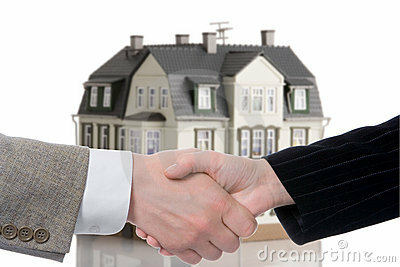 I will do everything possible to help you, and I will follow up with your lender regarding the short sale process. But there may be times when your lender needs additional documentation from you, or needs to ask you a question. Make sure your lender has your current phone number and mailing address, and pay attention to everything they send to you. Short sales can be a good solution to a difficult problem. As your professional Wilmington and Newark, DE real estate agent, I understand that selling your home can be an emotional decision, especially when your life has been disrupted by other events. This is why I provide professional guidance with compassion, so that you can make the best choices. If you owe more on your home than what it is worth, my experience in short sales and foreclosures can help you! It's never too early to talk to me, so please contact me today with any questions you may have! Faster Short Sale Process Helps Distressed Home Sellers in Delaware! You may recall from a prior blog post that short sale changes were in the works for mortgage loans backed by Freddie Mac and Fannie Mae. Those rule changes became effective November 1, 2012, and Freddie Mac is calling the new short sale process a success! While it hasn't been quite three months since the new processes became official, Freddie claims that short sale timelines are now faster by 50 to 75%! This has many positive implications for Delaware real estate. A faster, more effective short sale process means that more deals will be successfully completed, instead of falling through due to delays. As a result, we will see fewer homes entering foreclosure, which is good news for property values. Since the Mortgage Debt Relief Act has been extended, there is good incentive for distressed homeowners in Wilmington and Newark to pursue a short sale. 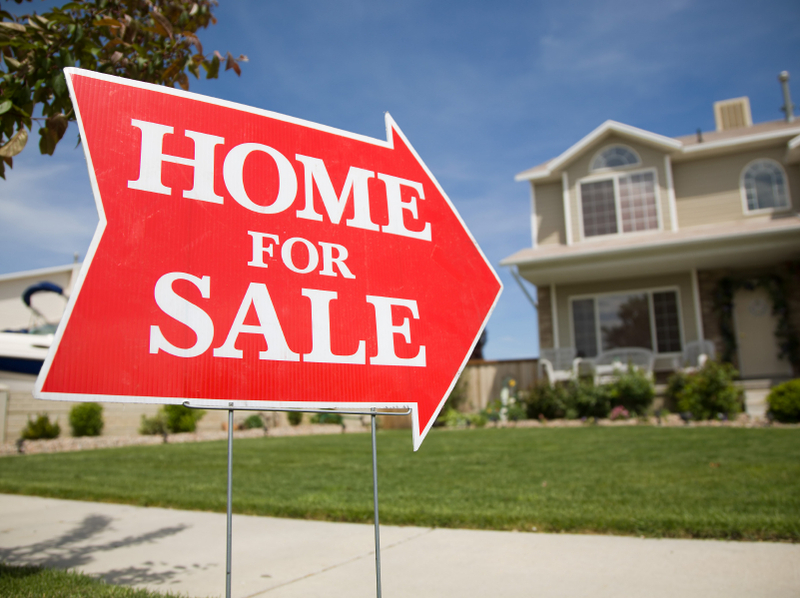 All together, this news brightens the picture for Delaware home sales in 2013! 1. Homeowners who successfully complete a short sale can get up to $3,000 in relocation assistance. 2. The mortgage servicer on the "front lines" - namely the company that collects your mortgage payments - is authorized to approve short sales for qualifying situations. No more second-level reviews by Fannie/Freddie. 3. The mortgage servicer must acknowledge receipt of a short sale request within 3 days of its arrival. 4. If your home does not have any additional mortgages or liens that require third-party approval, the mortgage servicer needs to either approve or deny your short sale request within 30 days. If they need more time to make a decision for any reason, weekly status updates must be issued to the homeowner. 5. The short sale process should not exceed 60 days, even if another lien holder is involved. There's just one catch to all this: in order for the above rules to apply, you must have a mortgage loan that is backed by Fannie Mae or Freddie Mac. You can use the loan look-up tool on their websites to determine this; just click on the links above. If you are a homeowner in Wilmington or Newark with a personal hardship, and you want to sell your home but you have negative equity - let me help! I have extensive experience in short sales and foreclosures, and I can guide you through the options that are available. I also have tips on avoiding foreclosure on my website. First-time buyers who may be interested in purchasing a home through a short sale should attend a free home buying seminar! Be prepared for the opportunities in Delaware real estate by attending one of the upcoming seminars below. Just register for the date and time that work best for you! Contact me for expert help with any of your real estate questions! There was good news for Delaware homeowners in the recent budget deal passed by Congress. While debates still continue over other fiscal policies, the Mortgage Debt Relief Act of 2007 has been extended! I'll explain why it matters to Delaware short sellers and homeowners alike! Say for example you do a short sale, and the bank has a loss of $40,000. If your lender forgives this debt, you're off the hook, right? Not in the view of the IRS. They consider forgiven debt as "income" because you received the benefit of the money without paying it back. Imagine having to pay income tax on $40,000 when you've already been through a hardship! This is exactly why the Mortgage Debt Relief Act is so important, as it keeps the IRS at bay. The MDRA is also important to Delaware home owners! It makes short sales an attractive alternative to foreclosure - and short sales do not impact the market as harshly. When a bank sells a foreclosed home, the price can be discounted up to 30%. The discounted sale becomes a part of the market comparisons used by property appraisers. Homes located near foreclosures witness a steep drop in value as a result. Even if you are not planning to sell your home immediately, it can take years for your home value to recover. Short sales are the better alternative because they list for current market value and are not discounted as sharply, if at all. They also keep homeowners engaged in a solution, which prevents home abandonment and neighborhood blight! If you are a homeowner in Wilmington or Newark who is struggling with mortgage payments, or you want to sell your home but you have negative equity - let me help! I have extensive experience in short sales and foreclosures, and I can guide you through the options that are available. I also have tips on avoiding foreclosure on my website. Need more information about buying a Wilmington or Newark home? As your experienced real estate professional I'm here to help you! I can also refer you to FREE home buying seminars! Take a look at the upcoming schedule, and register for the date you prefer! Contact me for neighborhood price trends, recent sales, and expert guidance in our fast-changing real estate market! One year ago, the State of Delaware had one of the highest foreclosure rates in the nation. This prompted our State lawmakers to create the Automatic Residential Foreclosure Mediation Program, which became effective as of January 19, 2012. In December 2011, Delaware foreclosure filings affected 1 out of every 485 homes, according to data by RealtyTrac. New Castle County had the highest rate of filings. Foreclosures in the State were also swift, averaging only 106 days to process. The average sale price of a foreclosed home was $121,100. As of November 2012, Delaware foreclosure filings affected 1 out of every 1,166 homes, according to RealtyTrac. Kent County took over the top spot for the highest rates of foreclosure. While our foreclosure process remains efficient, the timeline can now range up to 6 months. Meanwhile, the average sale price of a foreclose home has improved to $162,140. It's important to note that it took a combination of the above to bring us to the improvement we have today. We must also acknowledge that foreclosure remains a concern in Delaware, and we will be dealing with distressed properties for the foreseeable future. Have a few questions, or just want to talk about your situation? Contact me today! I will be happy to help you. New Short Sale Rules Will Help Wilmington, DE Home Sellers! Homeowners in Wilmington and Newark, DE who have negative equity and a personal hardship are about to get more help. Starting November 1, 2012, short sales will get easier for mortgages involving Freddie Mac and Fannie Mae. The best news for Wilmington and Newark home sellers is that you no longer have to be behind in your mortgage to be considered for a short sale! If you have a personal hardship, you can qualify for a short sale before you are in risk of foreclosure. One caveat: home sellers who have sufficient financial assets will be asked to make a contribution to the short sale. In return, no deficiency judgment will be filed for the difference between the sale proceeds and the outstanding loan balance. Short sales will become more feasible and a bit quicker under the new guidelines. This is terrific news for the Wilmington and Newark real estate markets, as short sales use current market value in the transaction, unlike post-foreclosure sales that can be deeply discounted. Short sales preserve neighborhood home values and prevent the blight that can follow abandoned homes. This doesn't mean that short sales are the right decision for everyone. As your professional Wilmington and Newark, DE real estate agent, I understand that selling your home can be a difficult decision, especially when your life has been disrupted by other events. This is why I provide professional guidance with compassion, so that you can make the best decisions. Let’s face it. The economy still isn’t in the best shape and many homeowners in Wilmington, DE are without a job. When it has become impossible to stay on top of your mortgage payments, the possibility of foreclosure becomes a frightening reality. However, if you face the fact that foreclosure is looming and you are proactive, it can be avoided with a short sale. While it’s certainly a favorable alternative to a foreclosure, a short sale is still emotionally and financially daunting. Though it’s not ideal compared to a traditional home sale, you’ll be able to bounce back more quickly than if your lender decides to proceed with a foreclosure. If you’re unfamiliar, a short sale occurs when a homeowner sells his or her home for a lower price than the amount due on the mortgage. All of the earnings made on the sale of the home go directly to the lender and the remaining balance of the mortgage is forgiven. Not all lenders will accept a short sale, so the first thing you should do is consult with your bank to see if a short sale is a possibility. In the event that you’ve decided to proceed with a short sale on your Wilmington, DE home, I’ve assembled a few tips to help you navigate the short sale process with as little stress as possible. After you’ve determined your lender will cooperate with a short sale, the first thing you should do is talk to a CPA, a real estate attorney and a Wilmington, DE real estate agent. These three parties will be key allies throughout your short sale journey. Ideally, this will be me! I’m well versed in the Wilmington, DE real estate market and have extensive experience helping distressed homeowners avoid foreclosure with short sales. My team and I are ready and willing to help. Your lender is going to want to see your Wilmington, DE home listed as close to market value as possible. Work with an appraiser to determine the true value of your home and list it slightly above market value. The right price should attract homebuyers and satisfy your lender at the same time. Once you’ve received an offer on your Wilmington, DE home the battle isn’t quite over. You now need to submit a letter of hardship, tax returns, pay stubs and various other documents to your lender for review. Make sure you have included everything that is required so the bank has no excuse to delay the short sale process. There will be a period of 30 – 45 days before you will hear anything from your lender regarding your short sale. If the homebuyer’s offer is within 5% of the price at which the home was appraised and all of your documents have been submitted, the short sale should be approved. I hope these tips for listing your Wilmington, DE home as a short sale have been helpful. If you find yourself in a position where you fear your home might go into foreclosure, please contact me. 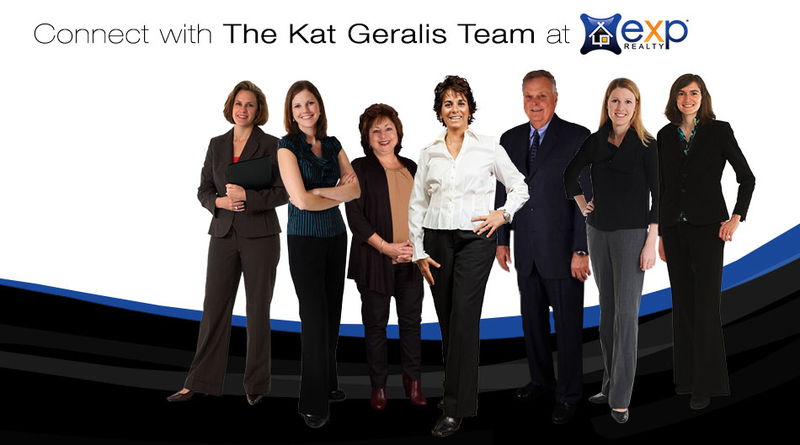 My team and I will help you with your short sale every step of the way. If you're a Wilmington, DE homeowner who is concerned about your property value, you're not alone. Between 2009 and 2011, Delaware experienced an alarming increase in foreclosures, averaging 300% above historical norms. Recent improvements in short sale timelines, along with stronger pre-foreclosure mediation, are helping to slow the tide. But for many Wilmington homeowners, the questions remain: Should I ride this out? Should I sell before my home value gets worse? What if I can make my mortgage payments now, but my neighborhood is declining? What should I do? Ultimately, the decision to sell, or stay put, is yours. Your risk tolerance for real estate market changes will depend on your personal resources and how secure you feel about your income. If there is any possibility that you may struggle with your mortgage payments in the near future, educating yourself about the options now will save you stress down the road. As your Wilmington, DE real estate agent, I have helped many sellers successfully navigate short sales and avoid foreclosure. My experience with short sales and foreclosures can help protect you from the uncertainties surrounding complex transactions and changing markets. If you have questions about your home value, or you'd just like to talk about your situation, contact me! I will be happy to help you. As we move deeper into the Spring season in the Wilmington, DE real estate market, things are really getting busy with buyers on the prowl for a great deal on a new home. I know, when you’re a seller, the last thing you want to hear about is the buyer’s market. This is especially the case if you are in a position where you need to sell your Wilmington, DE home quickly to avoid foreclosure. In the past I have explained the difference between a short sale and a foreclosure, but to refresh your memory, a Wilmington, DE short sale occurs when a lender agrees to let a homeowner sell their property for less than what is owed on the home, forgiving all other amounts owed after the transaction is complete. Feel free to look back on my previous blog entry for more details as to how a Wilmington, DE short sale works. While neither is desirable, a short sale is the preferred route when you’re in a situation where you are facing the possibility of losing your home. You will sidestep the major damage to your credit a foreclosure causes, you’ll avoid the humiliation and frustration associated with the foreclosure process, not to mention a load of stress will be taken off of your shoulders. In this type of situation, the guidance of a real estate agent experienced in Wilmington, DE foreclosures and short sales is invaluable. Selling your home quickly can be stressful, so I wanted to provide you with some negotiating tips to get the best possible result even with the situation isn’t ideal. When you’re approached with the “Why are you selling?” question, be vague about the fact that you’re in a hurry to sell. If other agents and their buyers know you’re in a pinch and need to achieve a sale quickly, you’re giving them an advantage. A simple, “Its just time” or “Moving closer to family” are good responses that will keep you in the clear. If you speak to the bank and let them know you’re actively trying to sell your Wilmington, DE home, there’s a good possibility that they’ll lower your mortgage payment. The lender just wants its money, and the quickest way for them to get it is through a traditional sale. This ties in with my first tip - you don’t want a potential buyer to know that you’re distressed. Make it known that you have other options, like putting your home on the market for rent, so that the buyer doesn’t know they have you under their thumb. The fact that you have other options and offers makes your Wilmington, DE home more desirable. As your Wilmington, DE real estate agent, I understand how stressful it is to have financial troubles and be faced with the possibility of a short sale or foreclosure. The important thing to realize is that by putting your property on the market now, you’re being proactive about the situation and will end up with the best possible result. If I can be of assistance in any way, please contact me! I look forward to hearing from you. How Does a Wilmington, DE Short Sale Work? The reality of the current Wilmington, DE real estate market is that homeowners are struggling to stay afloat. While the economy is getting better, many are still struggling with maintaining a steady income to pay their mortgage each month. As a real estate agent who specializes in Wilmington, DE short sales and foreclosures, it is my responsibility to be aware of this issue and use my knowledge of market conditions to help guide my clients through what can oftentimes be a very difficult, hurtful and stressful time. That’s why, when Wilmington, DE homeowners approach me and express that they are in danger of losing their house, I always take the time to sit down with them and review their options. Since my primary goal is to help people who are in danger of going through a Wilmington, DE foreclosure know and understand all of their options, it’s important to me that I explain each alternative as thoroughly as possible. The better my clients understand what they can do to avoid foreclosure, the more likely it is that we can find the right alternative and come up with a plan to avoid conflict. One of the most popular alternatives to foreclosures is going through a short sale. A Wilmington, DE short sale occurs when a lender agrees to let a homeowner sell their property for less than what is owed on the home, forgiving all other amounts owed after the transaction is complete. Short sales are far less damaging to one’s overall credit than foreclosures, which is why they are such an attractive option to many Wilmington, DE homeowners. The process, however, is a bit complex and can take a long time if you’re not diligent and persistent. In the interest of helping all of my clients who are in need of guidance, I thought that I’d outline the short sale process briefly. This will allow those who are in danger of losing their Wilmington, DE home get a better idea of one of the main alternatives to foreclosure. • Contact your Wilmington, DE real estate agent and lender to discuss policies, procedures and your options. Consulting with a professional before undergoing the process will help you decide if this is really the right route for you to be taking, which can help you avoid more conflict down the line. • Compose a letter to release documentation about the loan and the property. The escrow agency and the buyer will receive this information prior to making an offer. • The lender will examine the settlement statement. This document will include the selling price and what is left of the loan balance. Other fees, such as closing costs and commissions, will also be included in the statement. • Submit a hardship letter to your lender outlining your current financial problems. You will need to explain why it is that you can’t make mortgage payments. Think of this as a brief letter that you will need to use to build your case. You need to make the reader sympathize and understand why you have experienced hardship and realize that it is impossible for you to continue to stay in the home. • Include banking statements, investment portfolios, employment paystubs and other financial documents with your letter to prove that you can under no circumstances make your monthly mortgage payments. • The lender will consult with the Wilmington, DE real estate broker to evaluate the house’s structure and compare it with other homes in the area to determine its worth. • The lender will then examine the purchase agreement and review the commission amount to determine that the short sale transaction would be beneficial to all parties involved. Broken down, Wilmington, DE short sales are processes that require patience and a lot of back-and-forth; however they also are a very viable option for many homeowners in today’s economic climate. As a Wilmington, DE real estate agent who specializes in short sales and foreclosures, I’d be remiss if I didn’t review each option and alternative with my clients in detail. It’s the only way to ensure that everyone understands their options and comes up with the best plan possible for their particular situation. If you have any questions about the Wilmington, DE short sale process, don’t hesitate to contact me! I’d be happy to help in any way that I can. I hope to hear from you soon! Market Watch: Upcoming Wilmington, DE Real Estate Trends! I consider it a priority, as a Wilmington, DE real estate agent, to stay on top of emerging trends in the local real estate market. It’s important that I use the latest market news and statistics when communicating with my clients because it helps me better understand the individual needs of every Wilmington, DE real estate transaction. When I have a strong grasp of what is happening in both the local and national real estate market, I know what my clients’ needs are and can provide them the best service possible. In recent years, that meant that I had to help more people successfully complete their Wilmington, DE short sale transaction, and this is still the case in today’s market. • Home buyers will make a comeback. Now that jobless claims are decreasing and the condition of the United States economy is slowly improving, more home buyers will be stepping up to the plate this year. Last year, Wilmington, DE real estate consumers lost confidence in the market, which caused sales to go down. Now, some of that confidence has returned, and more people will be willing to make the investment on a home. Once consumer sentiment starts to solidify, more buyers will realize that now really IS the time to buy. • Wilmington, DE foreclosures and short sales will likely increase. The robo-signing challenges of late 2010 caused a serious delay in the processing of several foreclosure properties, but now that the situation has been resolved, these proceedings will start back up again. This will cause the value of single-family homes to decrease and will put many homeowners underwater, which will create an increase in Wilmington, DE short sales. This sounds scary, but many lenders are already recognizing this situation and are easing the requirements needed for both refinancing and the short sale process. • Home values will continue to go down. With the increase in foreclosures and short sales that are about to enter the market, we will likely see the values of single family homes start to go down. This will be great news for buyers as they embark on their Wilmington, DE home search, however for sellers, this will continue to be a frustrating factor. Since the increase in foreclosures will eat up some of the buyer demand in the market and will impact appraisals, it is likely that more homes will be underwater this year. Now that you know all about the upcoming trends in the Wilmington, DE real estate market, it’s important to be prepared. Stay smart with your finances and keep your credit scores as high as possible in order to avoid trouble with your mortgage payments. If you feel that you’re already underwater on your Wilmington, DE home, now is not the time to panic. Instead, you should contact your Wilmington, DE real estate agent and discuss your options. You may just qualify for a short sale. Don’t hesitate to contact me with any of your questions or concerns! I’d be happy to help you out in any way that I possibly can. I will make your real estate needs my priority. I hope to hear from you soon!